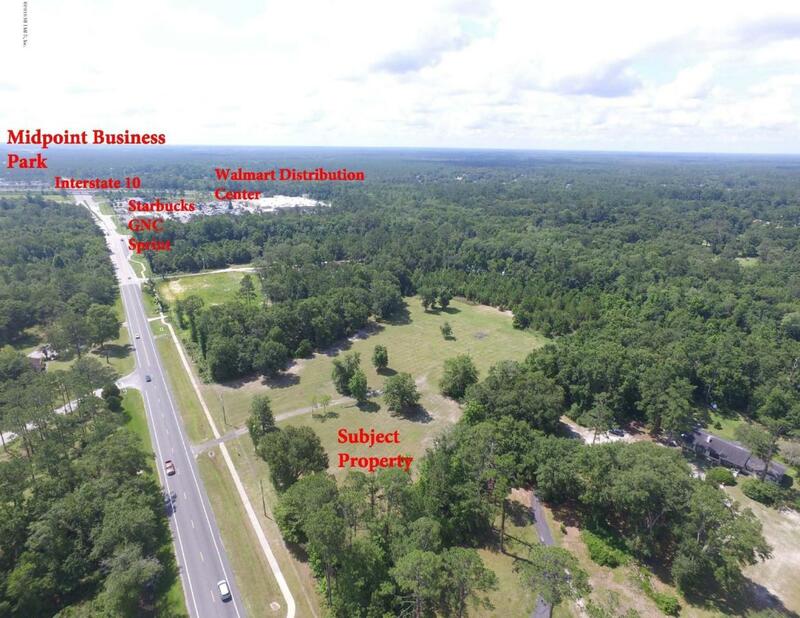 Residential property that has been rezoned commercial.Located in the heart of the Baker County ''Midpoint Parkway,'' project. 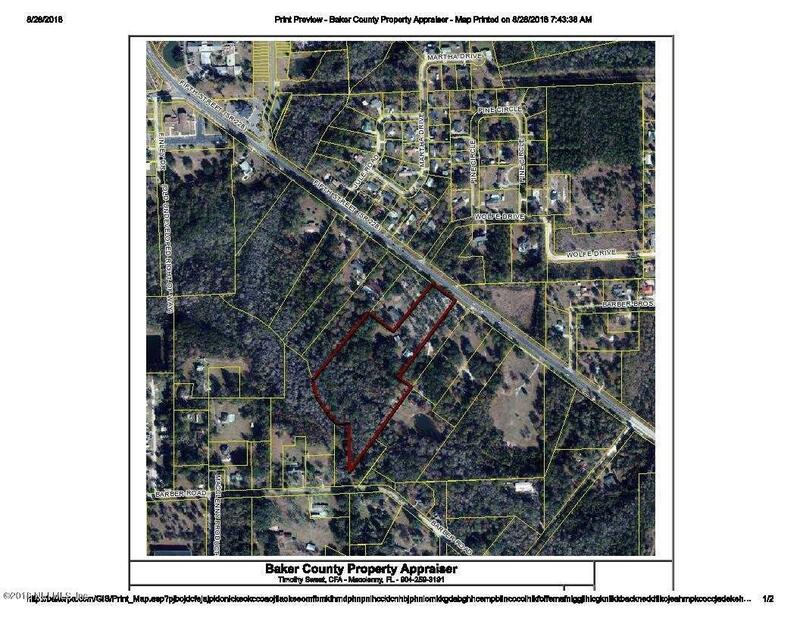 Parcels 04-3S-22-0000-0000-0450 and 04-3S-22-0000-0000-0451 are being sold together for a total of 12.22 acres.Property can be combined with MLS#936666 for a total of 16.88 acres.Home on property can be used as a commercial building or removed and property developed. There are a lot of possibilities for commercial development. Do not walk property without appointment.